From Now On is pleased to announce that Florida State University Athletics, out of the Atlantic Coast Conference (ACC), has selected the FanX platform to support their mobile fan engagement strategy. FanX is a mobile marketing and communications platform designed to help schools enhance the fan experience for fans at the game, at home or on the go. FanX will connect Seminoles fans with in-depth team and player information favorite players and teams by providing schedules, live stats, score alerts, bios and team stats. The platform will also give Florida State the ability to deliver push notifications, targeted promotions, and access to free live audio streaming, video content and fan guide content. IMG, the multimedia rights holder for Seminole Athletics, negotiated the partnership with From Now On. 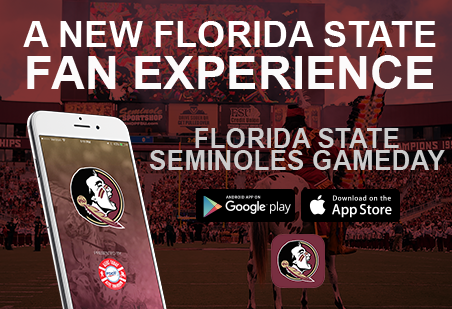 The Florida State Seminoles Gameday mobile app is now live and available via free download on the App Store or Google Play. Established in 2015, From Now On is a wholly-owned subsidiary of Client Resources, Inc., an Omaha-based IT talent and solutions firm. At From Now On our focus is on facilitating anytime, anywhere fan engagement through mobile technology. We built our flagship FanX mobile app platform to help our partners throughout the athletics industry deliver personalized experiences to fans at the game, on-the-go and throughout the offseason. Our team is driven by the belief that a robust mobile strategy optimizes communication with fans and cultivates analytics that help organizations make data-driven decisions. From Now On is about a commitment to a journey, to grow and make every experience count for our partners and their customers. It’s about bridging the gap from what was possible, to what is happening. To learn more about From Now On and the FanX platform please visit our website at from-now-on.com or follow us on Twitter @FromNowOnExp.